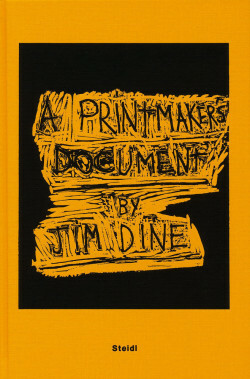 A Printmaker’s Document details the rich history and artistic processes of Jim Dine’s prints, as told by the artist and many of the printers with whom he has collaborated over the years. Inspired by a semi-autobiographical volume from the German printmaker HAP Grieshaber, this curious, compact book is part catalogue raisonné, part memoir and part artist’s book. Dine pulls back the curtain to reveal intimate details of his prints and his life—the afternoon spent with machinist Charles Brand assembling the etching press used for Dine’s Self-Portraits (1971); using his wife’s underpants to dust the plate for The Pine in the Storm of Aquatint (1978) with resin; the irritable summer triggered by the high altitude of Aspen where he printed A Double Feature (1983). Largely chronological in structure, the book offers vignettes tucked around 74 Dine prints, beginning with those created in the early 1960s and continuing on to works made in the past year; these are interspersed with texts by, and conversations with, his printers. From the bright yellow book cover embossed with a woodcut of the title to the artist’s poems and thoughts on dyslexia, pain and other personal subjects, Dine’s quixotic touch is as visible in this book as it is in his art. 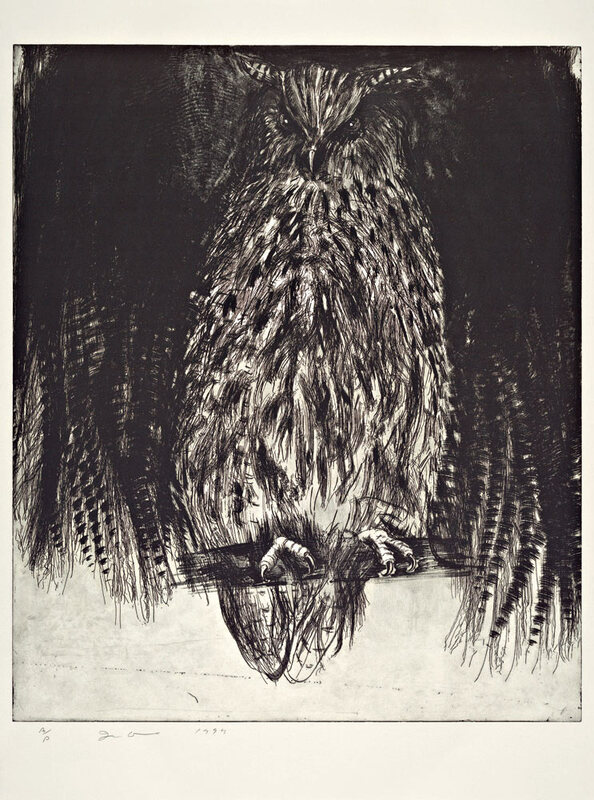 Jim Dine, Owl (1994), etching intaglio from one copper plate drypoint, roulette and sandpaper abrasion, image 37 x 31 1/4 inches, sheet 44 1/4 x 33 inches. He starts with the serendipitous moment that sealed his affinity for printmaking: browsing in a bookstore at the age of 17, he stumbled upon Paul Sachs’ Modern Prints and Drawings (an awakening shared by other print connoisseurs). 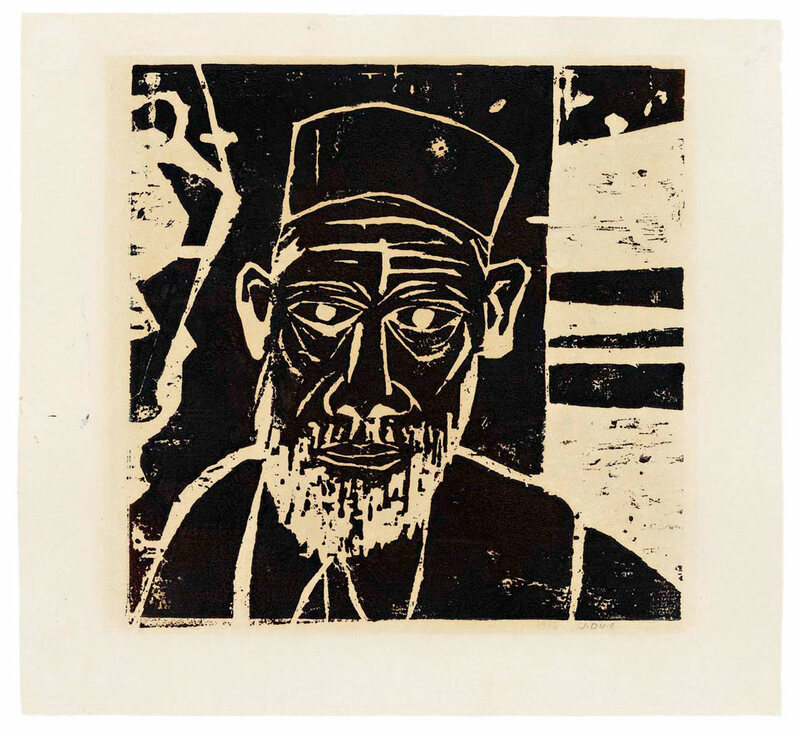 Images by Kirchner, Nolde and Beckmann stared back at him from the pages, prompting Dine to pick up a chisel—the first of many tools he would come to use— and make his first woodcut in his grandfather’s basement. He rolled oil paint onto the block and hand-rubbed onto it a piece of Japanese paper he says may have been stolen from his high school art class. The image of his Grandpa Cohen materialized on the paper’s delicate surface. Dine was thrilled. 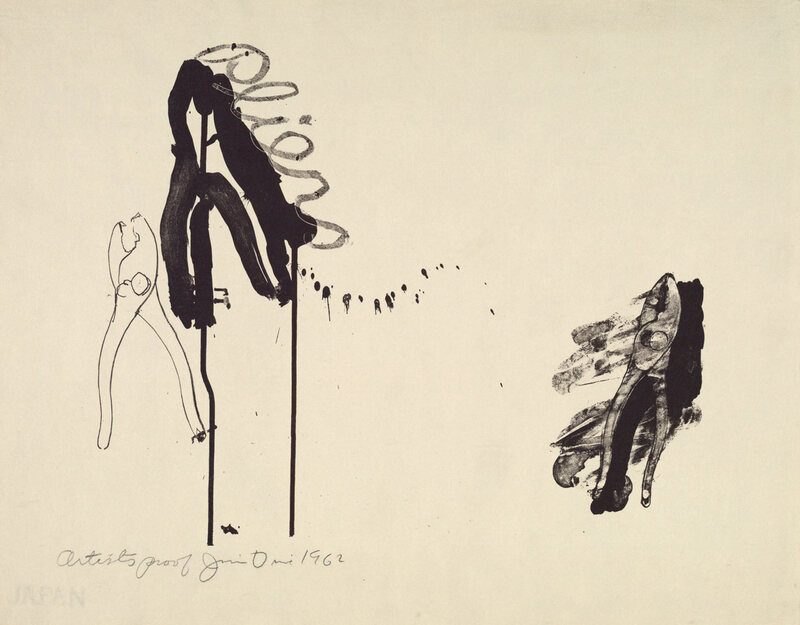 Jim Dine, Pliers (1962), lithograph on Japan paper, 7 3/4 x 29 1/2 inches. Dine recalls the shock such methods sometimes elicited. Arriving at the studio of the esteemed etcher Aldo Crommelynck in 1982 he found Richard Hamilton “working on something very sensitive, beautifully drawn, and clean… you could have had your appendix taken out and never gotten a disease.” Dine was there to work on plates from the series Nancy Outside in July (1978), which he had begun earlier with Crommelynck. When Dine began reworking the plates with an electric grinder Hamilton was entertained, but when Crommelynck saw his delicate soft ground besmirched with dust and copper he looked, Dine writes, “like he’d put his finger in a light socket.” Nevertheless, Dine and Crommelynck continued to collaborate for many years—Desire in Primary Colors (1982) was made from the plates attacked with the grinder. A conversation from 2006 transcribed in the book provides insight into the working relationship that evolved between the fastidious Crommelynck and the impulsive, innovative Dine. I was always dreaming, how can you make the print in a new way, another way, experimenting, that was always in my brain … not being a slave to line etching and aquatint. This is boring stuff. And working with [Dine] was absolutely not boring. It was absolutely exciting. [He] gave me a kick. Jim Dine, Untitled (Rabbi) (1953), oil paint print on paper, image 12 x 12 inches, sheet 15 1/4 x 16 1/2 inches. Unique proof. 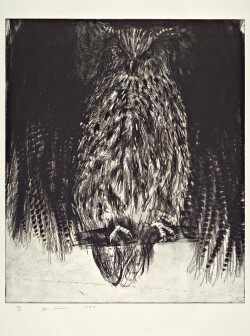 Printed by Jim Dine in his grandfather’s basement. 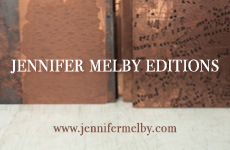 This, more than anything, is what Dine communicates in A Printmaker’s Document—excitement. The thrill experienced by printers rising to (or recovering from) Dine’s demanding inventiveness and the exaltation experienced by the artist as his wild aspirations, facilitated by the printerly problem-solving aesthetics of his collaborators, resolved into new works of art. 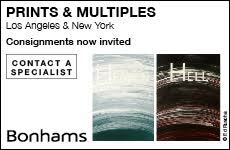 This excitement is notoriously difficult to communicate to the broader art public. Dine’s 60 years of printmaking have taught him that a print “is not always easy to grasp at first glance. It takes some visual education to see the intricacies, and also to understand the layers and different techniques.” Helpfully, he has provided a glossary of printmaking terminology to bolster his detailed explanations of the processes behind the prints. And carrying on the tradition of Sachs and other scholars of technique, he also sprinkles definitions and printmaking “how-to’s” throughout the book (including a humorous account of his attempt to bite an etching plate with urine in a Paris hotel room). 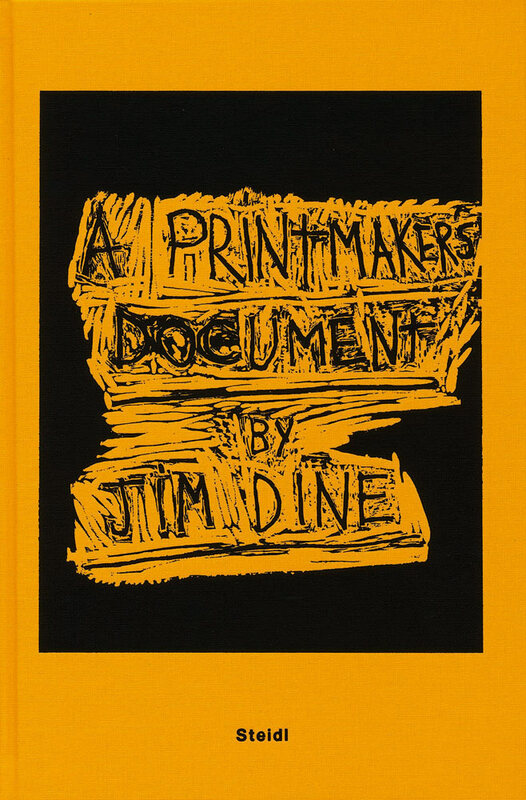 Even with these additions, A Printmaker’s Document will be most appreciated by readers who are either already enthralled by prints or are fascinated by the art and/ or personality of Jim Dine. For that audience, this volume is a delight, filled with insights and details far more meaningful than the familiar catalogue listings of edition sizes and proof numbers. The book closes with a list of 12 things Dine treasures about printmaking, from the smell of the ink and the evenness with which it spreads when rolled with brayers, to his memory of using a wooden spoon as a rubbing tool to print a giant woodblock back in his art school days—a process he still uses 60 years later. 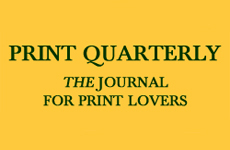 Foremost on his list are people—the printers, binders, papermakers and typesetters he has worked with over the years and who have become his close friends. The chainsaw, Dremel and 18 volt grinder are close behind. 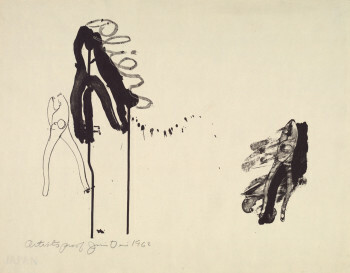 Jim Dine, Desire in Primary Colors (1982), triptych aquatint and electric tools from four copper plates printed once in one color (left: light red, center: light yellow, and right: light blue) and once in black on three sheets, image 23 1/2 x 19 1/2 inches, sheet 30 x 65 inches total (left and right: 30 x 22 1/2 inches, center: 30 x 20 inches).